Imprisoned for over two and a half years, Lale witnesses horrific atrocitie In April 1942, Lale Sokolov, a Slovakian Jew, is forcibly transported to the concentration camps at Auschwitz-Birkenau. When his captors discover that he speaks several languages, he is put to work as a Tätowierer (the German word for tattooist), tasked with permanently marking his fellow prisoners. To ask other readers questions about The Tattooist of Auschwitz, please sign up. If this is the true story of Lale and Gita, why is it being described as historical fiction? I'm only halfway through this amazing story & I'm already in love with Lale & Gita. Heather will your screenplay become a movie? Thank you for writing this novel Heather & thank you to the incredible Lale for telling you his story & allowing you to put it to paper & sharing it with the rest of the world! Thank you! Heather Morris Hi Bern. Thank you so much for your words. They really mean a lot to me. Yeah, Lale had a way of grabbing at everyone he touched by the heart strings.…moreHi Bern. Thank you so much for your words. They really mean a lot to me. I’m gutted reading this book. To some I have shared that my family's "MA" was in Auschwitz (everyone called her MA - her daughters, her grandchildren, her great grandchildren, her friends, etc.). She used to say "I have lost everything that can ever be lost “and "I have given everything can that ever be given". She passed away in 2017 at the age of 95. We just had her headstone unveiling. This was probably not the best book for me to read at this time - but then again maybe it was...In the last years of her life, I would go with her to the German Consulate to prove she was still alive, so she could continue receiving her reparation checks. She would get dressed in her best outfit and walk in proudly to announce she was still alive. There used to be a long line of survivors waiting to go in, the last time I went with her, we were the only ones in the waiting room. I used to dread going there with her. It was a production. Days before she would get her hair washed and set, the day of she would get up early and do her makeup and fuss over her outfit. I would always say "why do you dress up to go there?" She would always say "I am proud of who I am." and tell me not to embarrass her by wearing my "schmata" and would it kill me to put on a little red lipstick. Then she would announce to everyone in the room that I was her granddaughter. Now I will never go again. Last year we had our first Thanksgiving, Hanukkah and Christmas without her (I have a half Jewish - half Christian family). There are not many survivors left in the world which is why I am glad that books like this exist. "To Save one is to save the world." This book is based on a true story. I always love books based on true stories. In many ways, I think they are the best kind. I also love the pictures of Lale and Gita Sokolov. Lale told his story over the course of three years to the Author. Lale became the Tatowierer "Tattooist" of Auschwitz and Birkenau. Being the tattooist gives him special perks - more rations, better sleeping conditions, ability to move around the camp more freely. He also was able to exchange the money and prized possessions of those who died in the gas chambers for food and medicine. He was generous and provided for many. He saved lives and I wonder how many survived due to him acquiring medicine and extra food for them. While giving a tattoo, he meets Gita and feels an instant attraction to her. This book is not only a book about survival during the bleakest of times, it is about triumph of the human spirit, about being pushed to the breaking point but never breaking, about love, about compassion for others, about hope, about losing your faith and about never losing your faith. It also shows brutality, hatred, and evil but what I hope people take away is the compassion, strength, dignity and resilience that Lale and so many others named in this book showed. This book is about a lot of things but mainly one man's inner strength which allowed him to go on, to never give up, to have compassion for others, who risked his life many times to help others. During the darkest times, there will always be those who shine and Lale Sokolov was one of those. Like many survivors, Lale and Gita moved around until they found their place in Australia, began a family and lead a happy and successful life. Lale proved to have "nine lives" and I was happy to see that he was able to prosper and be reconnected with Gita after the war. I thought this book was well written and I was sucked me into Lale's world. Although there are scenes of violence and murder/killings, they are not incredibly graphic. With any book dealing with the Holocaust, you know it is going to be sad and scenes are going pull at your heartstrings. This one will as well. I think most will really enjoy this book and hopefully learn a few things. For instance, I always thought the tattoos were put on using crude tattoo machines/guns similar to the one used when I got a tattoo. I was wrong. My family member never talked about it. I wonder did Lale give Ma her tattoo? Who knows.? I think reading the Author's note at the end of the book is beneficial. Again, there are pictures of Lale and Gita there. It was nice to put faces with the names. When reading books such as this, I think most readers will wonder, could they have survived. I believe most of us will never know what we are capable of until we are placed to the test. God willing, none of us are ever placed to this test. I received a copy of this book from Bonner Publishing Australia and NetGalley in exchange for an honest review. There are hundreds, if not thousands, of Holocaust fiction books in the English language alone. This is not the one to read. This kind of book is hard to rate. It's based on the true story of Lale Sokolov, a Slovakian Jew who volunteered to go to Auschwitz to save his older brother and, through a combination of true grit and luck, he's able to survive and even fall in love. Who wants to give the story of a Holocaust survivor just two stars? Isn't that a bit heartless? But it's not subject of the b There are hundreds, if not thousands, of Holocaust fiction books in the English language alone. This is not the one to read. But it's not subject of the book I'm rating. This book isn't well written. I wasn't surprised to learn that Heather Morris is a screenwriter, because she relies heavily on dialogue here and really struggles with prose (although, to be honest, the dialog leaves a lot to be desired, as well). Scenes change in the matter of a sentence, the dialogue often seems only broken with stage directions. There's no atmospheric build up. There's no sense of tension or urgency or terror. It was all very one-note. The characters, even Lale himself, are flat and poorly developed. The whole book felt very amateurish, and I cannot recommend it. Danielle Brody Agree, writing was flat, odd for this genre. Considering "The Tattooist of Auschwitz" is a harrowing true story, it was truly compelling and utterly unputdownable. It's without a doubt one of only a few books that will stay with me a very long time, it's that unforgettable and one that keeps you thinking about the story well after you've put it down. Lale Sokolov is a well dressed, charming ladies' man - however he is also a Jew. On arrival at Auschwitz in 1942 he immediately stands out to his fellow prisoners who save his life when he tak Considering "The Tattooist of Auschwitz" is a harrowing true story, it was truly compelling and utterly unputdownable. It's without a doubt one of only a few books that will stay with me a very long time, it's that unforgettable and one that keeps you thinking about the story well after you've put it down. Lale Sokolov is a well dressed, charming ladies' man - however he is also a Jew. On arrival at Auschwitz in 1942 he immediately stands out to his fellow prisoners who save his life when he takes ill. In the camp he is put to work in the privileged position of the 'Tatowierer' - the tattooist - to mark his fellow prisoners as they arrive in camp. One of them is a girl called Gita who captures his heart immediately. Given a reason to survive Lale uses his position for the greater good even through struggles and extreme suffering, with the hope of one day being with Gita forever, outside of the camp. Although upsetting, saddening and at times quite unimaginable, there is such a beautiful love story at the heart of the tale that you can't help smiling at. I immediately took to all the real life characters, they were excellently portrayed whether good or bad and could imagine the whole true scenario with such clarity. The author Heather Morris took several years to write Lale's story in her book with the input of the main protagonist himself and even becoming a very good friend with him. She has ultimately written a story Lale would be very proud of and which tells of his and Gita's tale of wanting to be together through one of the worst and sickening periods of our history with the utmost care and consideration. Compassionately written with sensitivity, its emotive, thought provoking, awe inspiring and certainly puts your own everyday problems into perspective. This book wasn't as brutal and as hard hitting as some holocaust books I've read although equally saddening, therefore I feel this could be read by slightly younger readers without offending or upsetting. Right after I started reading this book there was a story on the local news about a new exhibit at the Jewish Community Center in our area. The exhibit highlights the Holocaust survivors from this area. At kiosks you can click on a name, read a bio but what struck me the most was that you can also see a video of the survivor telling their story. The utmost importance of these stories is reflected at the beginning of this book by author Graeme Simsion: "It reminds us that every one of the unimaginably large number of Holocaust victims was an individual with a unique story...." . It's really not possible to know what it was like in Auschwitz or the other camps no matter how much we read about the Holocaust, but it is through the stories of the survivors that we can try to understand, even if only a little . Heather Morris has retold the story of Lale Sokolov, a Jewish prisoner at Auschwitz who becomes the camp tattooist and while there finds the love of his life, Gita. This stared out as a screenplay she wrote as Lale told her his story and has been developed into this "novel". Lale from the first day he arrives in Auschwitz by cattle car, makes a vow to himself that he would survive this and after falling in love with Gita, he makes a promise to her that they will have a life together when they are out . That he can speak multiple languages saves Lale multiple times as well as connections made with other people imprisoned, with workers from the outside and even a German guard. With jewelry and cash gotten from the women who work in the building where belongings are sorted, Lale with his savvy, his courage and with some luck barters for time with Gita for the price of chocolate, a piece of sausage , a hunk of bread, a diamond or ruby. But he also provides as much food as he can to others. He helps many people along the way putting himself in danger each day as each day he tattoos numbers onto the arms of the new inhabitants. He does seem to have an existence in some ways better than most in the camp and better than when he first arrived until he is caught with the jewels. It is obvious that he survives, so there's no spoiler here that Lale continues to have the capacity for hope and love that seems impossible as he endures. This is a story told with love about courage in the face of the horrors of the camps and loss of family, courage sustained by the strength of the human spirit and it's a love story that I'll never forget. There is not much more I can say other than what Lale himself tells Morris - that he wanted his story recorded so "It would never happen again." What a waste of an amazing story on an incapable writer. There is no 'prose', there is really just "he did this, and then he did that". No depth of emotion, no depth of characters, heck - no characters! I couldn't tell you ONE personality trait of Gita's. Lale also, is so thinly drawn I know nothing about him other than he is supposedly charming. The dialogue between characters is ridiculously empty and the whole thing feels like the most superficial experience of Auschwitz possible. The love sto What a waste of an amazing story on an incapable writer. There is no 'prose', there is really just "he did this, and then he did that". No depth of emotion, no depth of characters, heck - no characters! I couldn't tell you ONE personality trait of Gita's. Lale also, is so thinly drawn I know nothing about him other than he is supposedly charming. The love story, which I'm sure had depth and feeling in real life, is like a disney retelling. Susan's I agree, the writing style was mediocre. Lucy Seward Agree - clumsily written! I recall, as a child, accompanying one or the other of my parents to our family jeweler countless times. It seemed as if some piece always needed to be repaired or purchased for one occasion or another. For my tenth birthday I received a small sapphire and diamond ring which was too large and needed to be resized. One day after school off we went to see Marty and Irv. It was an unseasonably warm fall day and Irv had his shirtsleeves rolled up. When he placed his arm on the glass countertop, I sa I recall, as a child, accompanying one or the other of my parents to our family jeweler countless times. It seemed as if some piece always needed to be repaired or purchased for one occasion or another. For my tenth birthday I received a small sapphire and diamond ring which was too large and needed to be resized. One day after school off we went to see Marty and Irv. It was an unseasonably warm fall day and Irv had his shirtsleeves rolled up. When he placed his arm on the glass countertop, I saw the tattooed numbers on his arm for the very first time. I felt, also for the first time, a cold clenching my stomach. That very day, at the age of ten, I had watched Night and Fog as part of my fifth grade curriculum and my physical reaction was the painful shock of recognition. It was disturbing to me that this kind and gentle man had been subjected to and survived the death camps. I was raised to be a polite child so I didn’t say anything but I do remember having a serious conversation with my mother about it on our way home. A unsettling but gripping novel, based on the true story of Lale, a Slovakian Jew caught up in the horrors of the Auschwitz-Birkenau concentration camp during WW2. He speaks several languages, so soon finds himself employed in the camp as the tattooist, the man responsible for inscribing prisoners numbers on their arms. He soon meets and falls in love with Gita, a fellow inmate., but can their love survive the horrors of life inside a concentration camp? This is a beautifully told tale, Helen Mo A unsettling but gripping novel, based on the true story of Lale, a Slovakian Jew caught up in the horrors of the Auschwitz-Birkenau concentration camp during WW2. He speaks several languages, so soon finds himself employed in the camp as the tattooist, the man responsible for inscribing prisoners numbers on their arms. He soon meets and falls in love with Gita, a fellow inmate., but can their love survive the horrors of life inside a concentration camp? This is a historical fiction novel based on a true story. Lale Sokolov tells his story based on true events. He became the main tattooist of Aushwitz and falls in love at first sight with Gita who he first met tattooing her arm. He tattoos all the new prisoners with their identification numbers. Lale is a Jew. He is on the first transport of men from Slovakia to Auschwitz in 1942. The concentration camp was very horrifying. Lale did have some special privileges, since he was the tattoist. He had lots of freedom than the other prisoners. He was so brave and had lots of courage. He would exchange jewels and money from murdered Jews for food to keep others alive. If he was caught he would of been killed. Many prisoners owed him their survival. He was a leader among the other prisoners. Their are some graphic scenes that are a little dark. This book stands out from other Holocaust related novels. It is an emotional read. The Nazi guards are monsters, they kill and hurt human beings. Lale was determined to survive. This is a terrible story but it also is a story of hope and courage. I really did love this story. It was almost like reading a memoir, but a little different than a memoir. This story is an emotional read, but I also found it uplifting at times. The Holocaust was horrific and couldn't believe all the awful things that happened in the concentration camp. I would say this is a safer read than other Holocaust novels. I really loved Lale's true story. I am so happy that the author spent a lot of time with him, to tell his story. I felt so sad for Cilka, and everything she went through. I also felt sad for Leon. There are some scenes that are graphic but this is the Holocaust, a horrifying time and as I mentioned before this is a safer read than other Holocaust books. I could not put this book down. It was a page turner. I loved the writing style. I am really loving historical novels more and more because I think they are needed because we need to remember what happened so that history isn't forgotten. This was a Traveling Sister read and I loved reading this with them and it was a wonderful discussion. This is a great book to do as a group read. what a comfort it is to know that, even in the most desperate and tragically unfathomable of circumstances, love and hope are possible and can be found. this was a truly touching story about lale and gita and how the love they found for each other in auschwitz helped them survive. the story is based on true events, information gathered from lales interviews with the author. lale waited until after the death of gita to open up about his experiences due to fear of being perceived as a nazi sympath what a comfort it is to know that, even in the most desperate and tragically unfathomable of circumstances, love and hope are possible and can be found. this was a truly touching story about lale and gita and how the love they found for each other in auschwitz helped them survive. the story is based on true events, information gathered from lales interviews with the author. lale waited until after the death of gita to open up about his experiences due to fear of being perceived as a nazi sympathiser. but goodness, this was a story that needed to be told. and i feel rather heartless giving a book with that sort of gravity anything less than 5 stars, but i was very let down when it came to the writing and the way the story was told. i would have much rather heard the story told from lale himself, as i dont think heather morris did his story justice. the writing was very flat and didnt evoke the sense of emotion i would have hoped for from a story as memorable as this. regardless, i am still grateful i read this, for there were so many valuable lessons within this book. lessons on what it means to be human, how far one would go to survive, how love can be found anywhere, and most importantly, the power of hope. This was a really tough novel to read - I mean obviously, it is set in Auschwtiz - it was hardly going to be a walk in the park! I don't think I quite prepared myself, or wasn't able to entirely remove myself from the novel, so became completely invested and because of this, it absolutely tore me apart. Based on a true story - Lale uses his education and knowledge of languages to get himself a job as the Tatowierer after each Jewish family must volunteer one young male for 'work'. This 'work' turns out to be the concentration camps on Auschwitz and Birkenau. We witness first hand the atrocities Lale sees happen, and also the cruelty and torture he endures at the hands of the Nazi's. Despite knowing this was a 'memoir' of sorts, and that Lale would eventually escape, I was still terrified when reading this. Books like this need to be published and read, as I think that despite everyone knowing what the Holocaust was, I think people might be in danger of forgetting just how truly horrifying it was, and the lowest depths of humanity. Though not always 100% gripping, I feel that it added to storytelling. Not everyday was filled with violence, some days nothing happened at all - and the prisoners whiled away the days, too starved or beaten to really do anything. Non-fiction books aren't always designed to be enthralling, and for me this story's purpose was more for education and the sharing of someone's past, rather than to simply entertain the reader. The German government needed workers for their labor camps. In 1942, all families in Slovakia were ordered to provide a child eighteen or older for work detail or risk having the entire family sent to concentration camp. Lale Sokolov hoped that by going to Prague to await these instructions his family would be safe. He did not expect to be forced into a cattle wagon and be transported to Auschwitz. He was determined to do as he was told, reveal little about himself and always be observant. Lale's The German government needed workers for their labor camps. In 1942, all families in Slovakia were ordered to provide a child eighteen or older for work detail or risk having the entire family sent to concentration camp. Lale Sokolov hoped that by going to Prague to await these instructions his family would be safe. He did not expect to be forced into a cattle wagon and be transported to Auschwitz. He was determined to do as he was told, reveal little about himself and always be observant. Lale's upbeat manner as well as deference to his capo helped him secure the job of "Tetovierer", the tattooist. Rules: Look down. Be quick and efficiently tattoo the five numbers written on each person's piece of paper. In order to survive, he had to defile innocent people. The job of "Tetovierer" did have some perks. Lale was given his own room and increased food rations which he hid under his sleeve to distribute to others when possible. One day, Lale saw a girl with the darkest brown eyes. Gita. He made a vow to himself. He will leave Auschwitz a free man. He has just met the love of his life! new arrivals at Auschwitz. Diamonds and chocolate entice an occasional guard or capo as well. "The Tattooist of Auschwitz" by Heather Morris is based upon the harrowing experiences of Lale Sokolov in Auschwitz and Birkenau. The chilling accounts of total disregard for life are occasionally tempered by selfless goodness and sacrifice without which Lale and Gita's love story could not have been told. This slim tome documents less familiar aspects of Holocaust literature. A must read. O Holocausto legou-nos um conjunto inestimável de histórias da vida real, que merecem ser lidas! São testemunhos de humanos como nós que, quando coagidos a explorar limites, revelaram um potencial ilimitado. Suportaram fome, torturas, espancamentos,... e — pior que tudo — um amanhã incógnito. Numa época de tamanhos horrores, acordar para cada dia, era uma vitória da vida sobre a morte! São histórias didácticas, onde aprendemos sobre nós mesmos. Revelam a força anímica que albergamos quando confrontados com situações de alto risco, demonstrando como as ações e sentimentos nobres — a solidariedade, a união, a entre-ajuda, a compaixão, a esperança, o amor,... — são fontes de poder inesgotável quando se trata de sobrevivência. Uma história de amor que ocorreu num campo de concentração nazi! Lale é o Tatuador de Auschwitz — o prisioneiro judeu encarregado de tatuar os restantes prisioneiros do campo, com os números que os identificam. Um dia, uma beldade judia de olhos castanhos ( Gita) encontrava-se na fila dos presos para tatuar, e... naquele instante em que o sedutor Lale se apercebeu da sua presença, foi amor espontâneo — Lale tatuava-lhe o braço, enquanto o olhar brilhante de Gita lhe tatuava o coração! Nesse momento mágico, Lale soube que iria sobreviver e construir uma vida com Gita, porque o Amor é mesmo assim — profetiza certezas infundadas! Simplesmente sabe-se, e pronto! 6 milhões de judeus pereceram no Holocausto! Em tempo de guerra, o Amor é arma sem balas!!! Incapable of being apprehended by the mind of the senses. Shame - love - guilt - survival - Love ..... it’s all here. Thank you to the ‘already’ moving & thoughtful reviews which came before me. Sad - Beautiful- powerful - emotional - honest reviews. This is an incredible book with a story that demands to be heard. The year is 2018 and it gladdens me that books like this are still being written. It’s important that we never forget Auschwitz and that we never forget the war crimes Nazi Germany committed. Why? Because we need to know and understand what humanity is capable of, we need to know what extreme hate looks like so we can work towards building a world free from it. This is one of our darkest hours, and we need to remember it. This i This is an incredible book with a story that demands to be heard. This is a true story. The characters were real people. They were plucked from the mind of a dying old man (who is also the protagonist) who wanted his story to be heard by the world. It took him over seventy years to muster the courage to tell it, Morris is the instrument of his words. So this isn’t a book that dramatises the events or capitalises on the situation in order to sell a thrilling piece of fiction; it simply portrays the horrors as they were: it doesn’t need to be exaggerated because it is in itself so horrifyingly real. We all know about Auschwitz, though there is something intimate about this particular story. Lale was the man responsible for tattooing identity numbers onto new entries into Auschwitz. It’s a role he hated, one where he felt like a collaborator as he defiled the bodies of innocent with the ink of the enemy, though it is also a role that afforded him many benefits. He was given a position of trust and was able to move around the camps at will. As such he smuggled in extra food rations for those that needed it most. He brought them medicine and aid whenever he could, consolation for living apart from those that suffered the most. The narrative was incredibly tense because death was never far away. All it took was one annoyed guard to raise his rifle and pull his trigger, and that’s it: it’s all over. Death came randomly. There was no system, just merciless killing at the whim of the oppressors. Doctor Mendel (Doctor Death) was the best example. He was an evil man, cold and fear inducing. Whenever he entered a scene the trepidation of the characters was palpable. It’s like the temperature dropped. Morris did wonders to capture the presence of such a callous man. With all darkness, there comes light. In the depths of the death camp there is also life, love and family: three things we all need to stay alive. Despite how cruelly the Jews were treated, despite how far they were objectified and made to feel less than human, they still managed to cling onto their identities and the very things that make them who they are. Hope endured for some, hope that they would some day be liberated and have the opportunity to begin a new life. And that’s exactly what makes the hero of the novel so compelling. He never looses his optimism. He never stops trying to help people. His love for his wife Gita kept him from dropping dead. And it wasn’t until she died in real life, many years later, that he released their story. And it’s very powerful one. ”Based on an incredible true story” as this states on the cover, this is the story of Lale Sokolov and Gita, the woman who he meets at Auschwitz, both prisoners there. At first Lale is working on a roof, and this is what he does for a while until his kapo says he needs a boy to do his bidding, run errands, bring him food and the like. Then fate intervenes somewhat again for Lale when he becomes the tattooist, the Tätowierer for both Auschwitz and Birkenau, a position under the Political Wing t ”Based on an incredible true story” as this states on the cover, this is the story of Lale Sokolov and Gita, the woman who he meets at Auschwitz, both prisoners there. At first Lale is working on a roof, and this is what he does for a while until his kapo says he needs a boy to do his bidding, run errands, bring him food and the like. Then fate intervenes somewhat again for Lale when he becomes the tattooist, the Tätowierer for both Auschwitz and Birkenau, a position under the Political Wing that answers only to Berlin. He meets Gita, whom he only knows by the number he tattooed to her arm, no words exchanged of course. A slip of paper with the number that was to be permanently marked on her skin were the only words that accompanied her. Eventually, he manages to introduce himself through channels and messages passed. Eventually an infatuation turns to love. But love is not the only emotion he feels there, having to stand by as the likes of Mengele get pleasure from inflicting terror and humiliation on all, but especially the female prisoners. Impotent rage, horror, fear, sympathy and an overwhelming sense of powerlessness engulf him, not only for him, but for all those prisoners subjected to the torture, abuse, humiliation. I’ve never been to Auschwitz or Birkenau, but many years ago I went to Dachau when I was in Munich on business. A group of us went there together, even the memory it still makes it hard for me to breathe. Photographs of the conditions, of how it appeared for those who were held captive – not so much living, but barely existing there. Each had their own stories, but we don’t often have access to an account such as this one, which makes it all the more important. That these people are more than just numbers to be totaled, they are people who loved, who were loved and had hopes and dreams. My deepest respect goes to the author for having the compassion and emotional stamina to hear these stories directly from Lale Sokolov, and bring these stories to us in such a truly lovely ode to love and the will to survive. Lale’s story broke my heart into a hundred pieces and then you somehow managed to put it back together again in this poignant story of the saving grace of a love found even in the darkest of times. An interesting tale based on a true story but not really comprehensively told. I enjoyed what was there but there seemed to be so much left out! Lale was obviously a charming rogue who managed to survive all those years in Auschwitz despite bringing himself to the attention of the authorities repeatedly and in very serious ways. It was amazing that a life long love affair could have begun in such a place and even more amazing that they both survived and found each other again after the war. Obvi An interesting tale based on a true story but not really comprehensively told. I enjoyed what was there but there seemed to be so much left out! Lale was obviously a charming rogue who managed to survive all those years in Auschwitz despite bringing himself to the attention of the authorities repeatedly and in very serious ways. It was amazing that a life long love affair could have begun in such a place and even more amazing that they both survived and found each other again after the war. Obviously it was meant to be. There must have been a lot more to this story than we are made aware of. I found the author's style to be simplistic which left me detached from events. I even felt occasionally that the book was aimed at a young adult audience as various atrocities were mentioned only in passing. As a reader I never felt the pain or the sorrow, just watched it from a distance. To me the author let the subject down. Fortunately the story is so incredible it stands up for itself. A good read, but not a great one. Reviewing a novel about the Holocaust on Holocaust Remembrance day seems both apropos, and a great responsibility. Never forget! As long as there are people who need to tell! Their stories, I will continue to read and remember. This is a fictionalized account of a true story, told to the author in the final days of his life. Lale was a young Jewish man from Slovakia, with much to look forward to, when in an effort to save the rest of his family, he is taken to Auschwitz. There he will become the Reviewing a novel about the Holocaust on Holocaust Remembrance day seems both apropos, and a great responsibility. Never forget! As long as there are people who need to tell! Their stories, I will continue to read and remember. This is a fictionalized account of a true story, told to the author in the final days of his life. Lale was a young Jewish man from Slovakia, with much to look forward to, when in an effort to save the rest of his family, he is taken to Auschwitz. There he will become the tattooist, the man who tattoos those horrendous numbers on the prisoners arms. A prestigious job in the camp that gives him priviledges many don't have, also a certain freedom. How he uses this freedom is a big part of the story. A story with many horrors terrors and yes even love. I dislike rating these stories. I always feel like I am rating, in this case, a man's life, passing judgement on his horrifying experiences. They were, but this young man was fortunate, not a good word to use obviously, in many instances that found others either shot or beaten to death. He had a sunny personality and vowed to survive the camp, maybe the reason the tone of this was more light than many others of the camps that I have read. Maybe this is the story he needed to remember to survive, only he can know that. The writing is less emotional than some, a kind of storytelling tone, which I guess makes sense as the author was telling a story. For me though, often times, I felt an emotional disconnect. It is though, impossible not to like Lale, he indeed uses his position, well. We meet other important characters, the young woman who he would come to love, her friends. Some of the guards, and all play their parts in this story. I do love how at the end of the book the author lets the reader know what happened to some of the main people in this novel. One young women's fate I found particularly unfair. At the end there is an added bonus and it is here that I felt all the emotions I had been missing. Never forget!!! A sisters read that provided a very interesting discussion. The story of two extraordinary people, Lale and Gita survive the horrors of Auschwitz and find solace in each other. The book is based on their true story. Lale has the job of tattooist and must tattoo numbers on the arms of countless men, women and children. One day he tattooed #34902 on the arm and Gita. He recalled this day as the day "he tattooed her number on her left arm, she tattooed her number on his heart." An incredible and memorable story that shows the strong will of human survival and the risks that so many took to save not only their own lives, but those of others. The story follows their years together at Auschwitz and beyond the war. The writing was straight forward without a lot of depth into the characters emotions, yet as a reader, it stirred up all my feelings of intense sadness, fear and shock of what they endured. This is a novel based on the true story of Lale and Gita Sokolov, two Slovakian Jewish prisoners at Auschwitz. Lale, being able to speak many languages, was given the job of tattooing the numbers on the incoming prisoners, he met Gita when she was in his line to be tattooed and was immediately taken with her. Being the tattooist at the camp gave Lale much more freedom of movement then most prisoners and he came upon money and jewels from the murdered Jews to get food to keep other prisoners alive This is a novel based on the true story of Lale and Gita Sokolov, two Slovakian Jewish prisoners at Auschwitz. Lale, being able to speak many languages, was given the job of tattooing the numbers on the incoming prisoners, he met Gita when she was in his line to be tattooed and was immediately taken with her. Being the tattooist at the camp gave Lale much more freedom of movement then most prisoners and he came upon money and jewels from the murdered Jews to get food to keep other prisoners alive. Lale was so brave, he took many risks, could have been killed at any time if caught, but his strong determination for the survival of he and Gita was above all else. This is the story of Lale and Gita Sokolov, two Slovakian prisoners at Auschwitz who fell in love and all the risks and sacrifices made by them and others to keep them alive and together. It all began with Lale and how he was chosen to be the person who tattoos numbers on the prisoners at Auschwitz and Birkenau. As one can imagine, this was heartbreaking work; but as Pepau (a fellow tattooist) told Lale, at least it was being done by someone with a heart. Through this job, Lale had favor at prison and ended up sharing the wealth with as many prisoners as he could. Lale ran into Gita, a woman he has met before, prior to being imprisoned, and their love grew from there. Lale and Gita offered a unique and complex perspective on the Holocaust. At first, I was taken aback by their story and the extreme peril they risked by being together. But then it made me wonder if there were any other stories like Lale and Gita’s? Others who jeopardized their lives for love while living in impossible and incredibly dire circumstances? Overall, I loved this book. Lale’s positive spirit, humanity, and courage grabbed hold of my heart. I’m grateful he told his story. Thank you to Heather Morris, Bonnier Publishing, and Netgalley, for the complimentary copy to review. I’m always reluctant to read works of fiction dealing with the Holocaust - although I’ve read my fair share. It’s not that I find it too hard to read about atrocities, it’s that I worry that unless they are done right, fictional accounts run the risk of trivializing this horrific chapter in human history. The Tattooist of Auschwitz reads like fiction, but is based on interviews the author conducted with its protagonist, Lale Sokolov, over a three year period very late in Lale’s life. A Jew transp I’m always reluctant to read works of fiction dealing with the Holocaust - although I’ve read my fair share. It’s not that I find it too hard to read about atrocities, it’s that I worry that unless they are done right, fictional accounts run the risk of trivializing this horrific chapter in human history. The Tattooist of Auschwitz reads like fiction, but is based on interviews the author conducted with its protagonist, Lale Sokolov, over a three year period very late in Lale’s life. A Jew transported from Slovakia to Auschwitz, Lale survived almost three years before the end of the war. For most of that time, he was assigned the task of tattooing numbers on the arms of Jews being brought into the camp. This gave him a bit of a privileged position in terms of food and housing, and also allowed him to move a bit more freely so he was able to develop a relationship with another prisoner, Gita, who is also a survivor. They married after the war. The genesis of how Lale came to tell the author his story includes an admonition not to judge him until she heard the whole story. And this points to the core of Lale’s story. What does it take to survive in a place like Auschwitz? After, once you’ve survived, what rationalizations are required to stave off the guilt of surviving when so many died? 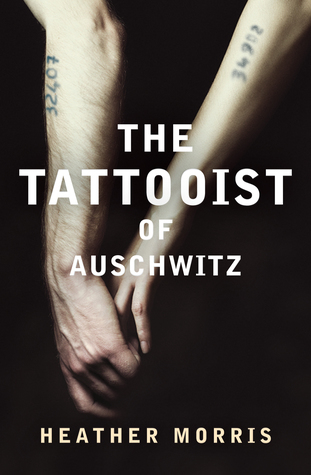 Ultimately, while it’s based in real historical events, The Tattooist of Auschwitz reads like a work of fiction. It is Lale’s recollection of his life during World War II as he has told it to himself. It reads like fiction because at times it does feel a bit romanticized or smoothed over around the edges. The atrocities are there, but Lale’s strong spirit and survival instinct seem larger than life. This isn’t a criticism and I am not judging Lale. I suspect all survivors have to make sense of what it took to survive. I also suspect that they judge themselves far more harshly than anyone else does. I’m grateful to have had a chance to read about Lale and Gita’s story and I’m happy to know that they were able to make sense of their horrific experience and live happily for many years after the Holocaust. Their story is well worth reading. The Tattooist of Auschwitz is a compelling and unforgettable story of hope and courage that is so beautifully written based on interviews with Holocaust Survivor Auschwitz-Birkenau Tattooist Ludwig (Lale) Sokolov. Lale with compassion and sensitivity, tattoos numbers on the arms of prisoners. While doing this he forms a connection with Gita that leads to a tender and charming I was lost in the all my heart and soul lush coulee with eight of my Traveling Sisters reading The Tattooist of Auschwitz. As with all holocaust stories, my heart hurts. It bleeds for all those who suffered and still shocks me. But the survivors and the hope is unbelievably real. How anyone ever recovers, I will never know. Forgiveness and healing are themselves a miracle and Each story as necessary and precious as the next. Thank you, Lale, for sharing yours. 4.5⭐ As with all holocaust stories, my heart hurts. It bleeds for all those who suffered and still shocks me. 4.5 stars! My heart opened up and welcomed Lale in from the first page of this powerful story. The a 4.5 stars! My heart opened up and welcomed Lale in from the first page of this powerful story. A big thank you to NetGalley, Bonnier Zaffre and Heather Morris for providing an ARC in exchange for an honest review! As soon as I read the write up for this work I felt I had to read it and how glad I am that I did. This is a fantastic read and probably the best book I have read for a while and what makes it even more compelling is that it is a true story. This is the story of Lale Sokolov, a Slovakian Jew who was held during World War 2 in the infamous Auschwitz prison camp and worked as the tattooist forced to mark each prisoner with an identification number. He himself was prisoner 34902 and against all odds As soon as I read the write up for this work I felt I had to read it and how glad I am that I did. This is a fantastic read and probably the best book I have read for a while and what makes it even more compelling is that it is a true story. This is the story of Lale Sokolov, a Slovakian Jew who was held during World War 2 in the infamous Auschwitz prison camp and worked as the tattooist forced to mark each prisoner with an identification number. He himself was prisoner 34902 and against all odds falls in love with fellow prisoner Gita while tattooing her. This is a love story like no other and so much more as well. This is a book that took Heather Morris over 3 years to complete and was written from interviews with Lale. This is a book that covers all emotions and will stay in your thoughts long after. Once I started reading this book I wanted to carry on reading and finished it in two sittings. On completion I have started searching for more information about this amazing man Lale Sokolov and I look forward to the film that must surely follow the future success of this book. EXCERPT: Thirsty and exhausted, he is surprised when the piece of paper is yanked from his hand. An SS officer pulls off Lale's jacket, rips his shirtsleeve and pushes his left forearm flat on the table. He stares in disbelief as the numbers 32407 are stabbed into his skin, one after the other by the prisoner. The length of wood with a needle embedded in it moves quickly and painfully. Then the man takes a rag dipped in green ink and rubs it roughly over Lale's wound. The tattooing has taken onl EXCERPT: Thirsty and exhausted, he is surprised when the piece of paper is yanked from his hand. An SS officer pulls off Lale's jacket, rips his shirtsleeve and pushes his left forearm flat on the table. He stares in disbelief as the numbers 32407 are stabbed into his skin, one after the other by the prisoner. The length of wood with a needle embedded in it moves quickly and painfully. Then the man takes a rag dipped in green ink and rubs it roughly over Lale's wound. The tattooing has taken only seconds, but Lale's shock makes time stand still. He grasps his arm, staring at the number. How can someone do this to another human being? He wonders if for the rest of his life, be it short or long, he will be defined by this moment, this irregular number: 32407. THE BLURB: The Tattooist of Auschwitz is based on the true story of Lale and Gita Sokolov, two Slovakian Jews who survived Auschwitz and eventually made their home in Australia. In that terrible place, Lale was given the job of tattooing the prisoners marked for survival - literally scratching numbers into his fellow victims' arms in indelible ink to create what would become one of the most potent symbols of the Holocaust. Lale used the infinitesimal freedom of movement that this position awarded him to exchange jewels and money taken from murdered Jews for food to keep others alive. If he had been caught, he would have been killed; many owed him their survival. MY THOUGHTS: Oh! The inhumanity of human beings towards other human beings knows no bounds. And, worst of all, I don't believe we have learned a damned thing because we just keep making the same mistakes over and over again, and always with a sense of righteous justification. Lale and Gita's story is indescribable. But it is important that it be told. We can read these stories, and be horrified, appalled, but we can never really know, in our hearts or our heads, how it felt to endure what they endured. We cannot even begin to understand what they went through, and for that we shall be grateful. Grateful that we shall never have to experience standing outside with the ashes of our friends raining down upon us from Crematorium chimneys. Grateful that we are not ripped from our families, herded like cattle, starved, beaten, and experimented upon like laboratory rats. And let us show our gratitude by ensuring that anything like this can never happen again, be it on the massive scale seen in WWII, or on a personal level. Please be kind to one another, help one another, respect one another. Because if we don't, are we any better than the SS? Thank you to author Heather Morris for her perseverance. A lot of what she was told by Lale cannot have been easy to listen to or transcribe. I would imagine she had more than a few nightmares. Thank you to Bonnier Publishing, Australia via Netgalley for providing a digital copy of The Tattooist of Auschwitz by Heather Morris for review. All opinions expressed in this review are entirely my own personal opinions. Unfortunately, as much as I wanted to love this book, it fell quite short for me. Perhaps it was the expectation I always harbor for a book about the Holocaust, or perhaps the book contained things that I just had a hard time believing. This was basically a love story between two people, Lale and Gita who met while she was waiting to be tattooed by Lale and instantly fell in love. They manage to meet on many occasions and share time together and even make love. Lale, meanwhile is able to collect Unfortunately, as much as I wanted to love this book, it fell quite short for me. Perhaps it was the expectation I always harbor for a book about the Holocaust, or perhaps the book contained things that I just had a hard time believing. This was basically a love story between two people, Lale and Gita who met while she was waiting to be tattooed by Lale and instantly fell in love. They manage to meet on many occasions and share time together and even make love. Lale, meanwhile is able to collect diamonds, money, and other jewels from people working in the sorting of prisoners' clothes which he barters for food, chocolate, and other things with a Russian workman and his son. He shares his food with those that he can which of course is a wonderful thing to have done. Eventually, when the war is close to ending, he is freed and while Gita has been sent away from Auschwitz he eventually meets up with her and they marry and have a son after immigrating to Australia. In thinking about this novel, I believe it was the writing of the story which held it down for me. It seemed that the author made the telling so matter of fact and I could not perceive an emotional empathy that one is ever so sure any prisoner in Auschwitz would certainly have had. I know that both Lale and Gita were real people who suffered immensely in the camp and of course lost so many family and friends. My heart breaks ever time I read a book that details the atrocities that were done to the Jews, Gypsies, handicapped and others during the war. So, I am very sad that I did not connect with this story. At the end of the book, Lale and Gita's son wrote a foreword which was quite good with the right amount of emotion and love for his parents. I think perhaps he should have taken up the task of writing his parents' story. For through his few short pages, I saw more of Lale and Gita than the author showed me with the entire book. Marialyce Dianne wrote: "Excellent review, Marialyce!" Perfect 5 stars for the The Tattooist of Auschwitz! This book follows the true story of Slovakians Lale and Gita who experienced spending several years in the Nazi concentration camp during the Holocaust period. Lale was a linguist; a Jew; prisoner 34902; and was a Tetovierer (tattooist in German) in the Auschwitz concentration camp in Birkenau, Poland. I'm always fascinated on this darkest period of the history, hence I read books that contains the said theme whenever I have the chance. Reading Perfect 5 stars for the The Tattooist of Auschwitz! This book follows the true story of Slovakians Lale and Gita who experienced spending several years in the Nazi concentration camp during the Holocaust period. Lale was a linguist; a Jew; prisoner 34902; and was a Tetovierer (tattooist in German) in the Auschwitz concentration camp in Birkenau, Poland. I'm always fascinated on this darkest period of the history, hence I read books that contains the said theme whenever I have the chance. Reading another memoir of one of the survivors made me envisioned what happened to the prisoners of Nazi Germany. However, Lale and Gita were very lucky to survived and after the liberation, they had a better life when they migrated to the land down under. "Save the one, save the world." The story of Lale Sokolov is certainly one that needed to be told, to be remembered....his bravery....the risks...his determination to help others....to survive the horrors of Auschwitz....and, of course, how he found the love of his life. The cattle train, the starvation, the crematoria and the evil Dr. Mengele; it's all here, but still, I did not feel the terror in the narration as compared to the many other holocaust novels I've read. Memorable debut and work of historical fiction surrounding the lives of Ludwig Eisenberg (Sokolov) and Gisela Fuhrmannova. Many thanks to Bonnier Zaffre and NetGalley for the ARC (coming January, 2018) in exchange for an honest review. 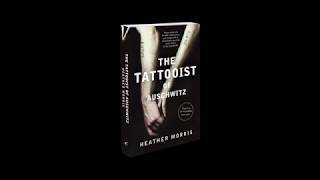 The Tattooist Of Auschwitz by Heather Morris is a Harrowing, Heartbreaking, Extremely Emotional and wonderful. I know what your thinking 'wonderful what she on about' I found it to be wonderful due to the fact that these two people were able to make friendships and fall in love at the most horrendous time of their lives and to fight for it until their end of days. I found there were many moments in this book (most of it) where I had to take a deep breath,wipe a tear or tears whilst thinking my god The Tattooist Of Auschwitz by Heather Morris is a Harrowing, Heartbreaking, Extremely Emotional and wonderful. This book is not overly descriptive when these terrible things are being spoken about but your mind and heart feels in the blanks for you.